A colorful BAM! Tape walking stick will add some pizzaz to any walk. Walking is a great activity for so many reasons. When we get out for a walk we of course get the physical benefits, but we also connect with nature and community. When we walk with our kids, we create an opportunity to connect with them away from the distractions of home. No screens, no chores, no confined space. How can we make our daily walks a little bit more fun? 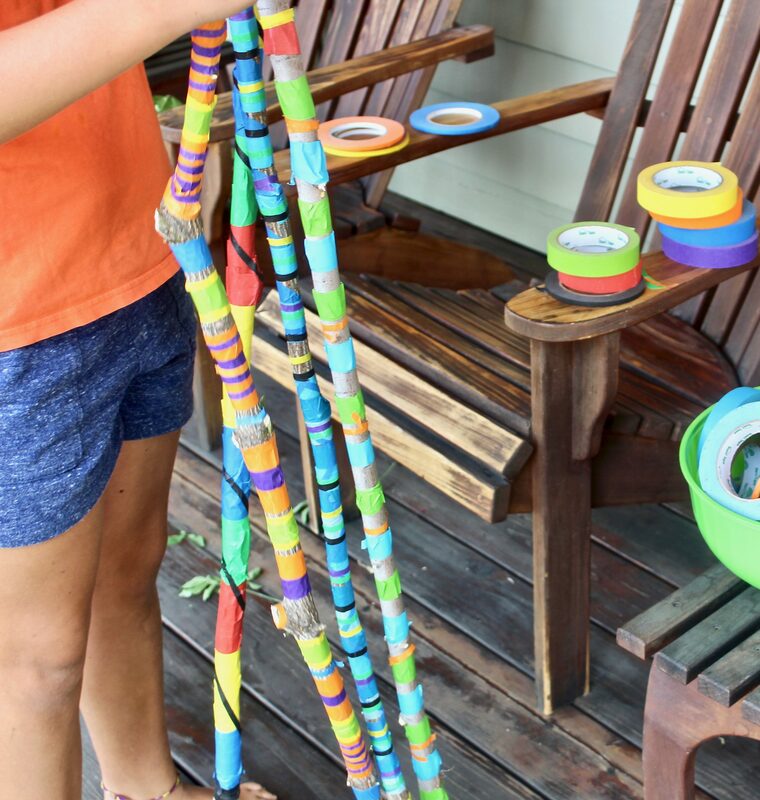 How about creating a colorful walking stick? With some creativity and colorful BAM! Tape, you can change an ordinary stick into an extraordinary walking stick. This project is perfect for families, parties and youth groups. BAM! 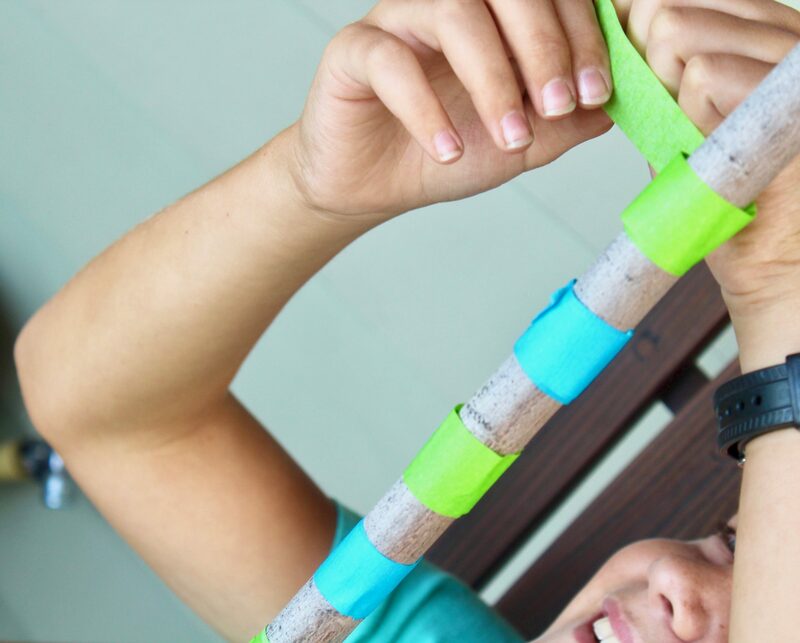 Tape™ masking tape in any colors that you choose. A sturdy stick that is tall enough to touch the ground while grasping it at chest height. We did a little pruning in our back yard and created 4 sticks. 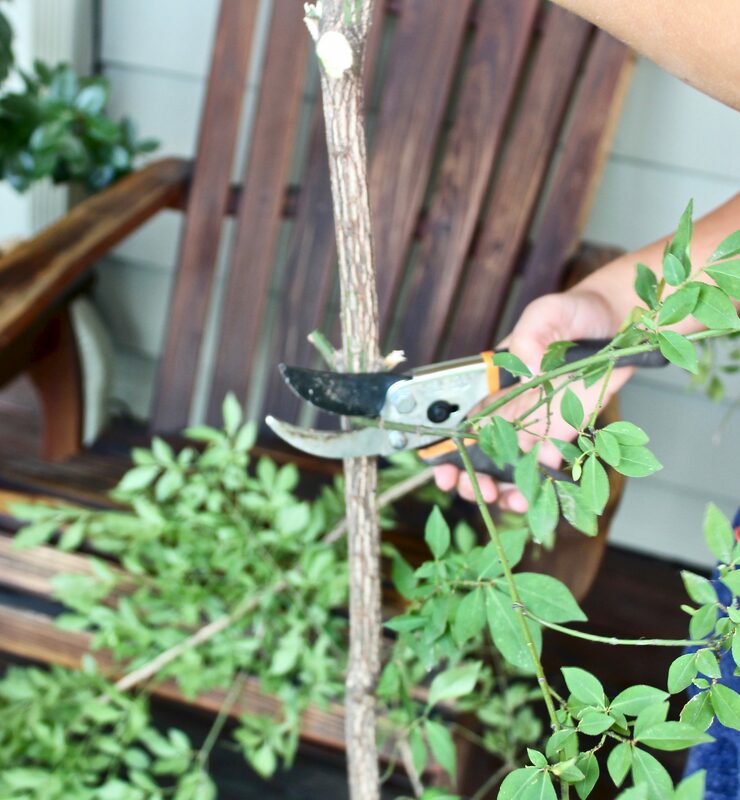 Once we had our sticks cut to approximate size, we clipped off all of the little branches and made them as smooth as possible. Don’t worry, your stick does not need to be perfectly smooth, a few nubs will give your walking stick character. 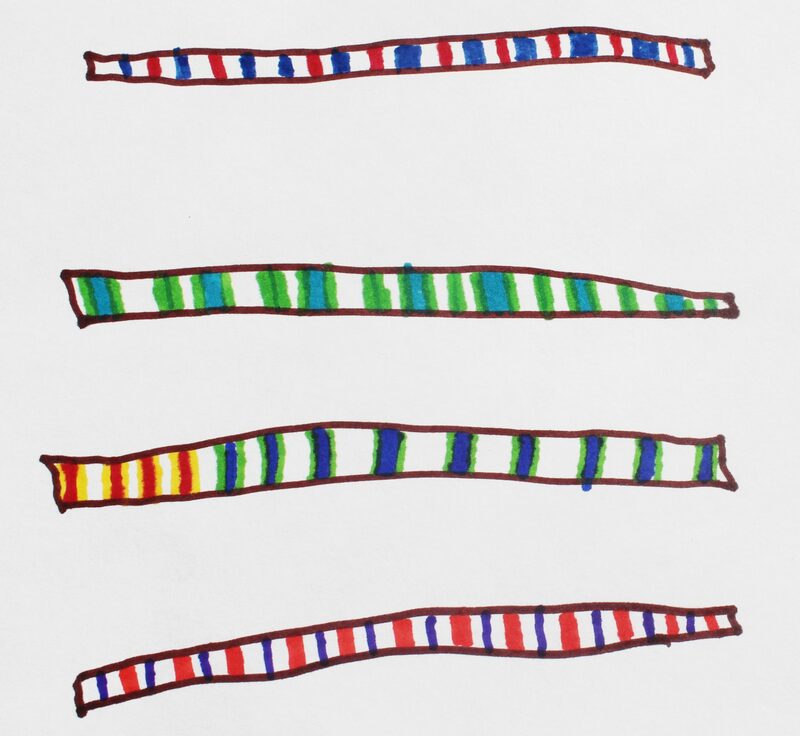 You can experiment with design ideas on paper with pieces of tape or markers. Or, you can just work with a vision in your mind. Either way, think about a color scheme and pattern before you get started. We ended up with Seattle Sea Hawk colors combined with Gryffindor House colors on one stick! 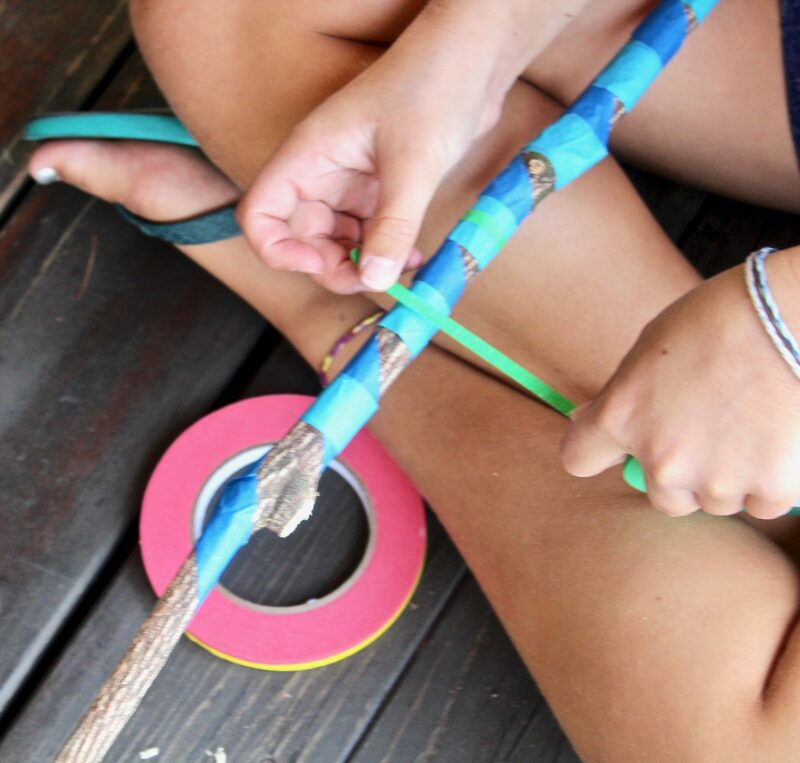 Using your design, take pieces of colored masking tape and wrap them around your stick. Be sure to use tape pieces that are long enough to go around the stick twice. This will make the tape more secure on the stick. Take a look at your walking stick and add any final details. We added strips of narrow tape on top of wide tape. We also added extra tape in the area where we grip our sticks. Perhaps you have pretty feathers or beads that you would like to add. A special ornament on the top of the stick is eye catching. Be creative and make your stick special for you! When your walking stick is finished, then you are ready to take a walk with it. 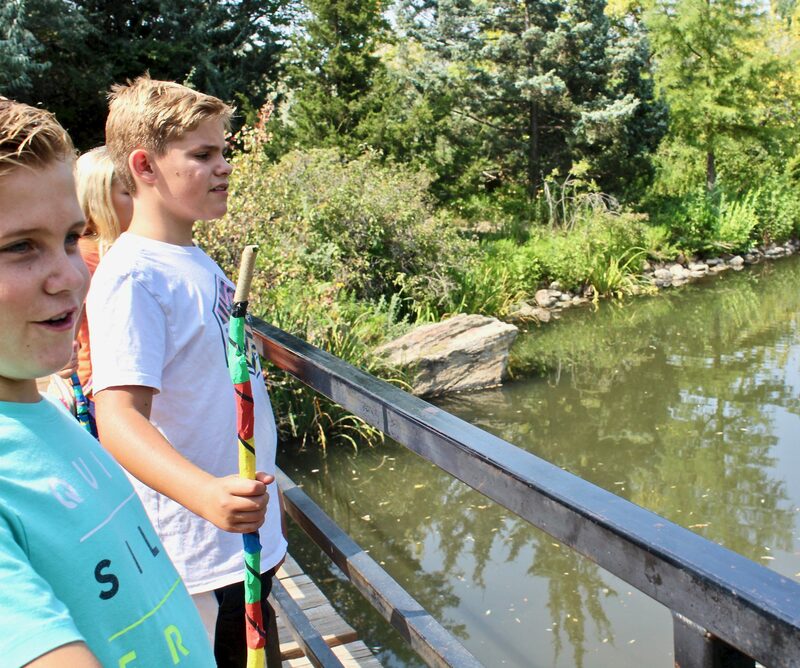 If you are a kiddo, have a parent take you out to try your new walking stick. You will likely have people stop you and ask you about your beautiful walking stick. If your parent says that it is okay, then take this opportunity to share the story of how you came up with your design. It’s a great way to interact with people in your community. Start a journal and write about all of the wonderful walks that you take. I love this BAM! Tape™ project! I hope that you went somewhere fun to try out your new walking stick. 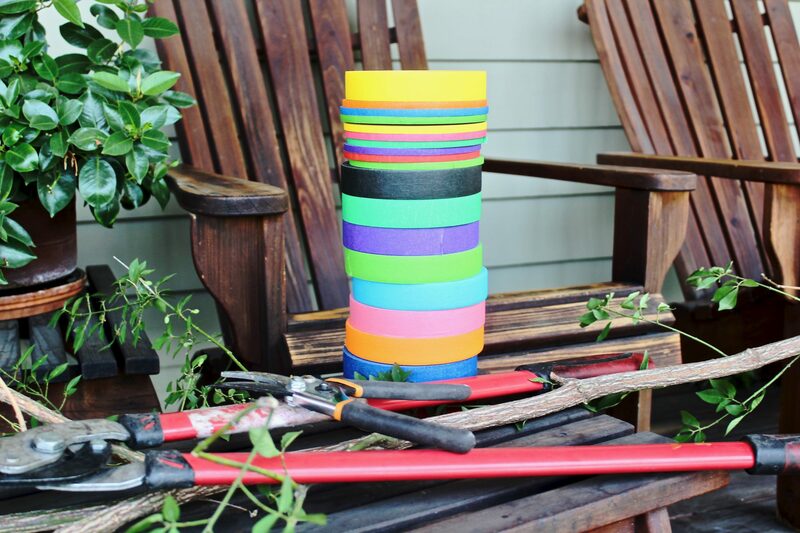 Even if we don’t get any further than our own backyard, a colorful stick can inspire us to get out and explore. Now that you know how to make a BAM! Tape™ walking stick, make a few more so that you are prepared for visitors who might like to take a walk with you. 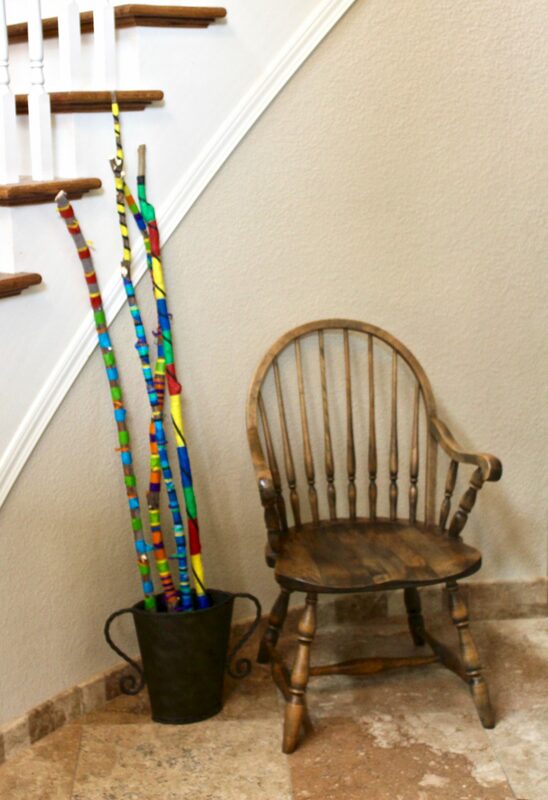 We store our walking sticks near the front door so that we are reminded to get out and move our bodies. Happy trails!